Bend Event Sound is in the business of making memories through music. 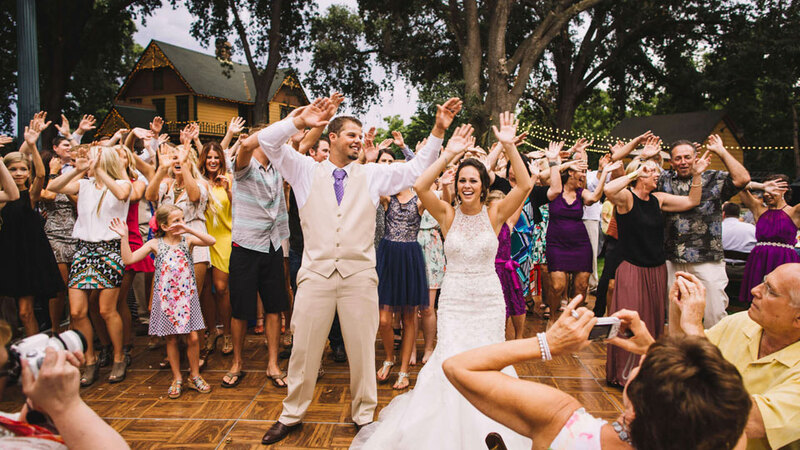 Serving Bend, Redmond, Prineville, Sisters, Madras, LaPine and all of Central Oregon, Bend Event Sound has been providing wedding dj services to happy couples for more than a decade. Their goal is to help make your wedding the best day of your life and they consider music the heartbeat of any wedding (other than the bride and groom of course). A good dj knows that timing is as important as music selection, and they have the skills to know when to queue the party, then keep the flow and tempo just right for the duration of your big day. Bend Event Sound also brings their music and mic services to holiday parties, birthday parties, corporate events, concerts and more. Their top of the line equipment allows them to provide the highest sound quality in any setting, indoors or out. Let Bend Event Sound assist in designing the best special event or wedding ceremony and reception that you could possibly imagine.